Google has announced that it is rolling out the next iteration of its infamous Panda algorithm that is a filter designed to kill thin or poor content in search rankings. The update started rolling out this week, and will continue into the next. Reportedly, it will roughly impact between 3% and 5% search queries - primarily those with thin or poor quality content we often see on download and ad websites etc. What's new in this algorithm? According to Google, this version is supposed to be more precise and will allow more high-quality small and medium-sized sites to rank better. Google also claims to have been able to discover additional signals to help Panda more accurately identify low quality content, thanks to user and webmaster feedback. Based on user (and webmaster!) feedback, we've been able to discover a few more signals to help Panda identify low-quality content more precisely. This results in a greater diversity of high-quality small- and medium-sized sites ranking higher, which is nice. Another piece of good news is if you were penalized by Panda previously, then this update means the damage may have been undone if you did all the right things to correct the issue. If you see an increase in traffic by the end of next week, then it’s a good sign this update worked out in your favor. 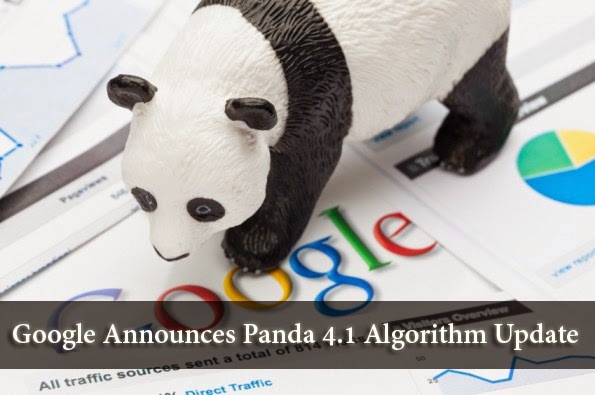 This new Panda algorithmic update reinforces the fact that Google is not a fan of thin content and that crawl efficiency along with serving clear and direct data messages to Google are becoming more important than ever. Specializing XML sitemaps, trimming back on thin content and making sure that you are serving Google exactly what they need with minimal effort expended on part of Google-bot needs to be a huge emphasis. More so, also making sure that even in XML sitemaps, crawl priority is properly defined, and old content is not recrawled unless there is specific reason.